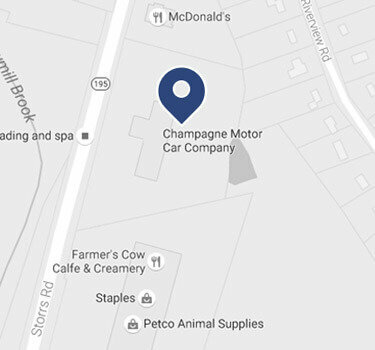 Check out the wide selection of quality used vehicles for sale at Champagne Motor Car Company. Our staff is proud of the unique, low mileage cars we sell at some of the best prices in the country. We offer our lowest price upfront so you don't have the hassle of haggling to a fair price. We have sold to 44 states since we opened our doors in 2009 and are quite familiar with doing business online or over the phone. Call us at 860-456-0008 or contact us online to get started. Para español por favor llame al 860-428-4664 Fernando.